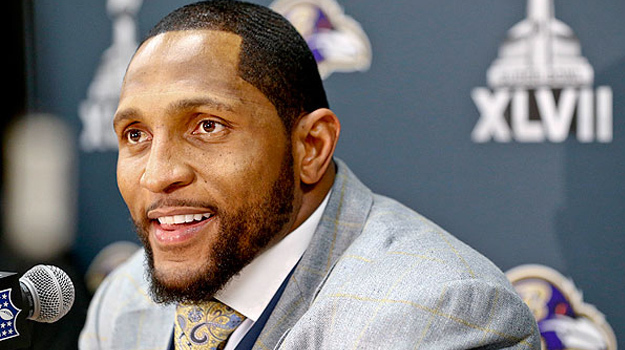 Baltimore Ravens legend Ray Lewis was the keynote speaker at this year’s Texas Offenders Reentry Initiative in Dallas, Texas. The T.O.R.I. program is an intense 12-month program for individuals who have spent some time incarcerated or in prison and gives them a chance to relearn skills that would allow them to have better opportunities after serving their time. The program is in its 10th year as of 2015 and has done an exceptional job of rehabilitating people and giving them a higher chance at being successful. The former Raven gave a great talk to 135 new graduates of the T.O.R.I. program and reminded them that this is the time to set new goals, leave the negative moments of their past behind them, and prepare to take charge of their better futures ahead. The two-time Super Bowl champion got his football career started at the University of Miami where he was a middle linebacker for the Hurricanes, before entering the 1996 NFL Draft. He was selected by the Baltimore Ravens in the first round as the 26th overall pick and played for the team for all 17 years of his football career. The 13-time Pro Bowl player is also the Baltimore Ravens all-time career leader in tackles and is also the two-time NFL Alumni Linebacker of the Year. Lewis attended this year’s T.O.R.I graduation in Dallas, Texas, where he had a chance to speak to former prisoners that are looking to get a second chance in life after completing this intensive program. He was had some great words of wisdom and surely helped these people have more faith in their futures. If your company is interested in finding out availability and booking fees for a former NFL player like Ray Lewis, or other sports celebrities for a Product Promotion, Charity Event, Guest Appearance, or Football Camp, call us at 1-888-246-7141.